This is a great time of year to be planting new grass. To give our livestock the best forage possible, we contacted Cliff Taylor, of Taylor Made Seeds and he suggested a great organic mix that will green up quickly and will be ready for grazing within six weeks. 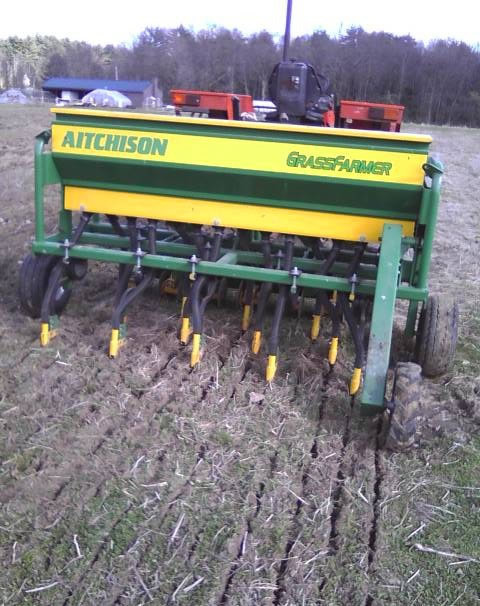 He was also kind enough to loan us his “no-till” seed drill. This enables us to plant the seed with minimum impact to the soil and the living organisms in the soil, which are responsible for breaking down old plant material and manure into soil organic matter and humus.